Cyber attack combat-readiness, intelligence exploitation, drone intelligence, systems streamlining and integrated infrastructure will all be part of the Royal Navy’s forthcoming Information Warrior 17 exercise. Perhaps the coolest aspect of the exercise is that it’ll explore artificial intelligence (AI) technologies, both as a potential threat and as a combat tool. 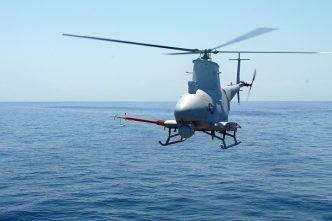 The exercise will test whether AI can be used as a warship’s “mind”, controlling weapons targeting, issuing commands and improving threat response strategies. 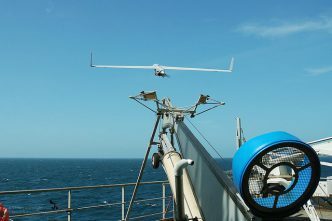 The Royal Australian Navy is also war-gaming this week in the inaugural Exercise Ocean Explorer. 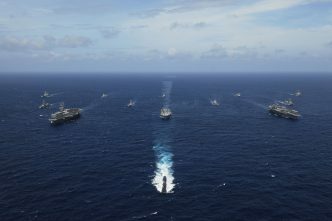 Taking place off the West Australian coast, the exercise involves more than 17 ships and aircraft including contributions from Spain, New Zealand and Italy. It aims ‘to train ships to work together in a series of complex and dynamic warfare scenarios’, with the international participants also having the opportunity to grapple with the added challenges around language, customs and technology differences. Finnish defence firm Patria showcased its Nemo Container mortar system at IDEX in Abu Dhabi on 20 February. Essentially, it’s a shipping container integrated with a 120mm Nemo mortar turret that can be fitted to both land and sea platforms. Check out this quick video explaining its versatility. The Pentagon has awarded a new US$15.6 million contract to ELTA North America Inc.—a US subsidiary of Israeli Aerospace Industries—to build systems to counter the commercial drones ISIS has employed since 2014. Mainly used for reconnaissance and deploying explosives, ISIS’s diversifying array of drones are a growing threat to coalition forces on the battlefield. The contract requires that ‘21 Man Portable Air Defense System kits’ be delivered as early as 28 July 2017. 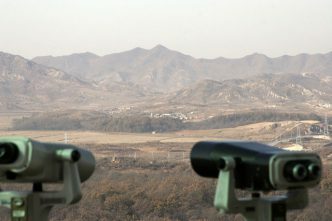 According to Defense One’s insights, the contracted air base suggests that it’ll most likely involve a jamming system that can take down drones without firing any shots. The Avalon Air Show (a.k.a. Nirvana for air power geeks) kicks off today in Geelong. 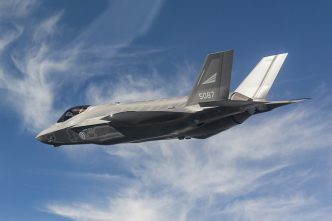 What makes this year particularly special is that it marks the first time Lockheed Martin’s F-35 Joint Strike Fighter has landed on Australian soil. 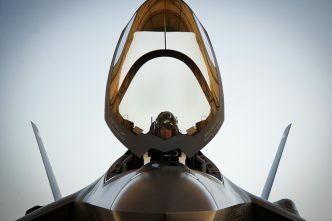 The two F-35As have come all the way from Luke Air Force Base in Glendale, Arizona, and will be met by Prime Minister Malcolm Turnbull and Defence Minister Marise Payne, with the government hoping the cameo can sway some of the platform’s critics. Russia’s state-owned media announced that the Ministry of Defence is planning a new air-defence division to cover the Eastern Arctic, which will protect Moscow and the Ural region against potential aircraft and missile attacks. That move is set to complement Russia’s existing 1st Air Defence Division covering the Western Arctic, and is part of President Putin’s new push to strengthen Russia’s Arctic civilian and military capacity. Russia’s military recently announced it will test-fire a new intercontinental ballistic missile (ICBM) as early as 2019. Currently under development, the new ICBM is expected to be ready for operational deployment by 2020. 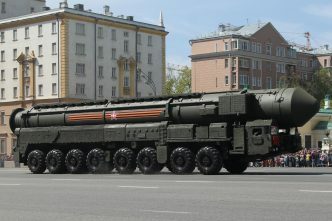 Also known as the ‘Barguzin railroad combat complex,’ or BZhRK in Russian media, these weapons are a revival of train-based ICBMs used by the Soviet Union in the 1960s—built to carry six missiles each, instead of the original three, train-based ICBMs offers several strategic advantages over fixed-silo missiles. Their ability to constantly be on the move means that the enemy can never be certain where they are. With the Trump administration still trying to find its feet, the US is putting an increasing amount of pressure on European NATO members to raise military spending. Germany has provisionally answered this call—recently announcing a decision to expand its army by 5,000 soldiers and send additional tanks to support NATO troops stationed in Lithuania. 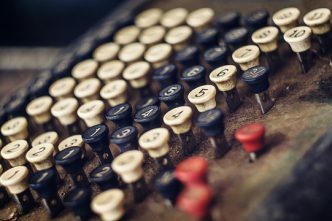 Around the same time, German’s defence ministry announced further plans to increase the number of troops in the German armed forces by almost 200,000 over the next seven years. According to German outlets, such a decision comes amid ‘increasing pressure for Germany to reach its NATO-mandated defense spending target’. With an upcoming meeting in Hungary set to discuss NATOs transformation, there will clearly be a lot to discuss. The talk of the town this week is NASA’s announcement of TRAPPIST-1, a system of seven Earth-sized planets orbiting a cool red dwarf some 39 light years away. The find has big implications for extra-terrestrial life. Three of the planets are in the Goldilocks Zone, potentially with liquid water, and over the coming decades scientists will leverage increasingly sophisticated techniques to analyse their atmospheres. The detection of something like oxygen could suggest photosynthesis. Moreover, the very existence of this system, around the most common type of star, again ups the odds of life in similar systems elsewhere. Back on Earth, these kinds of discoveries stoke the public imagination and get everybody talking. NASA’s Exoplanet Travel Bureau is already envisaging future planet-hopping, spruiking it to a public that’s busy imagining life around another sun. There’s plenty of fanfiction, stories and poetry going around, and conceptual artists are working in overdrive. 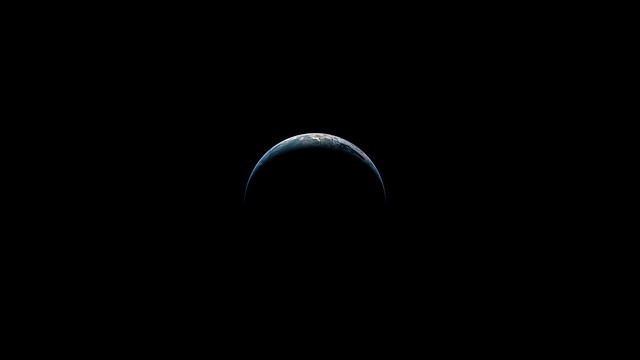 Everyone’s also excited about the scientists involved—astrophysicists like Sara Seager, who was brilliantly profiled last year in the piece, ‘The Woman Who Might Find Us Another Earth’. NASA is currently evaluating future roadmaps, including an ambitious proposal to crew the first tests of the new Space Launch System. While safety is the order of the day, growing public sentiment should empower the new administration to consider every strategy moving forward. Zoe Glasson, Sophie Qin, Madeleine Nyst and Patrick Kennedy are research interns at ASPI. Image courtesy of Pixabay user frankestalonevfx.